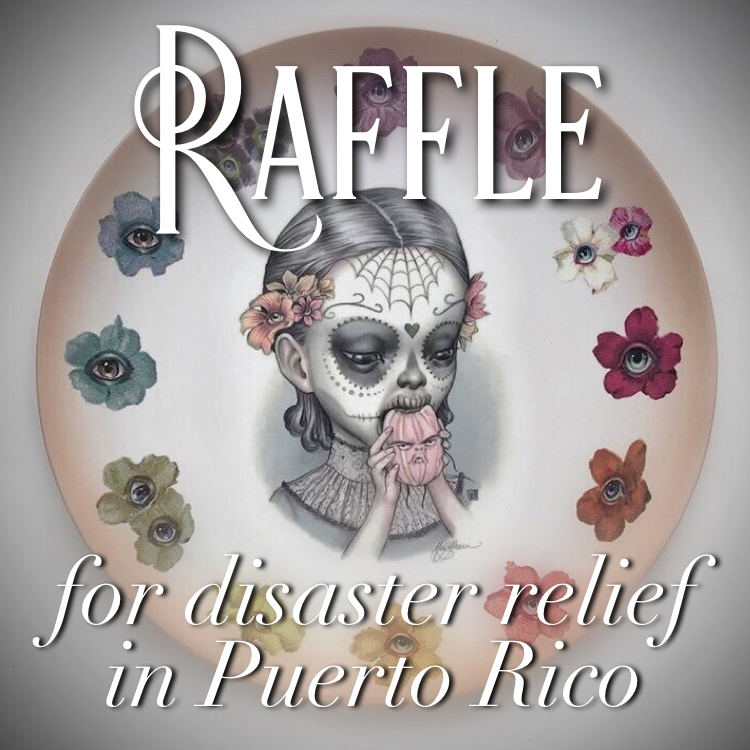 In response to the humanitarian crisis in Puerto Rico in the aftermath of Hurricane Maria, we created the #CreepingAuction, a simple platform for artists to donate their work to support the relief efforts. 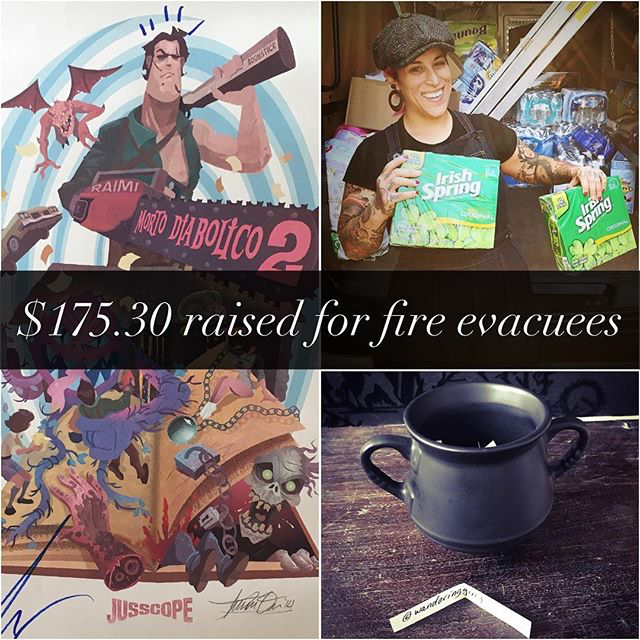 Members of the Creeping Musuem community rallied together and donated everything from original artwork to antique curiosities, and as of October 25, 2017, the #CreepingAuction has raised more than $1,200 for UNIDOS Disaster Relief Fund, UNICEF, and Unidos por Puerto Rico. The #CreepingAuction is an ongoing project. Learn how to set up your own auction. 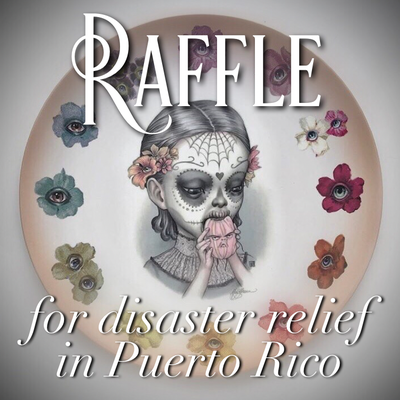 An exclusive Mab Graves collector plate from Mercado los Olvidados raised $150 for disaster relief in Puerto Rico. 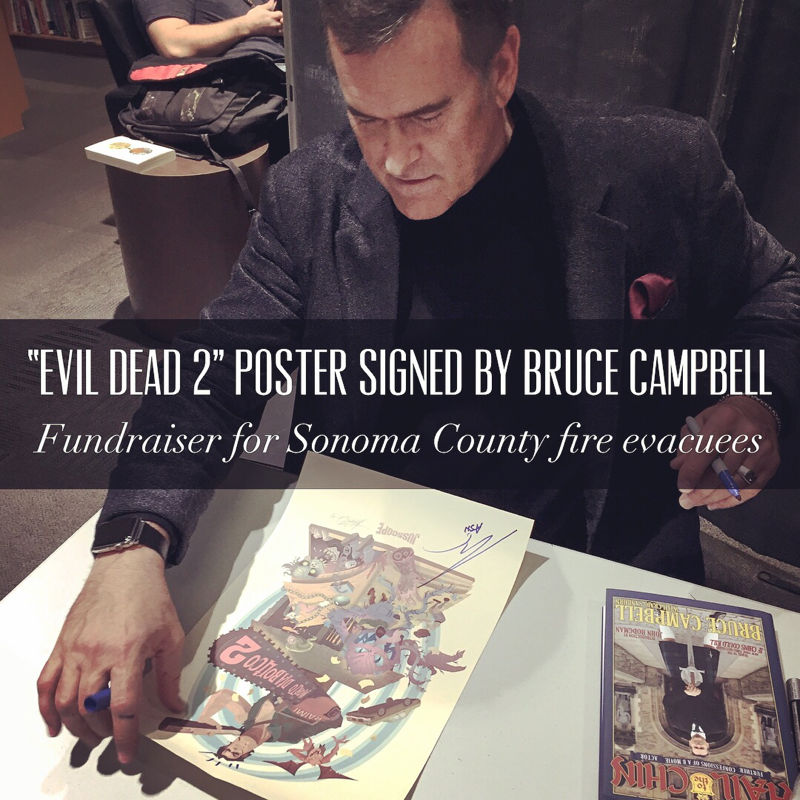 An “Evil Dead 2” art print signed by Bruce Campbell raised $175 for urgently-needed supplies for evacuees displaced by wildfires in Sonoma County, California.